It is the first time, urban youth have contributed to the City Action Plan on Climate Change Adaptation by submitting concept papers and asking for financial as well as technical supports in order to implement them. Responding to the Call for Youth Initiatives by CtC in the beginning of 2012, there had been nearly 60 ideas sent back, which explained very much about local young people’s concerns on issues related to climate change and potential risks impacting to their neighborhood communities. These concept notes illustrated concrete activities in various categories such as analyzing vulnerable factors within a community, communicating or elaborating adaptive measures. In collaboration with ACCCRN partners, especially Climate Change Coordination Offices and Youth Unions in project areas, CtC selected and coordinated the process of funding, developing capacity and implementing 12 youth-led Initiatives. Youth to capture how local peers think about climate change (video). 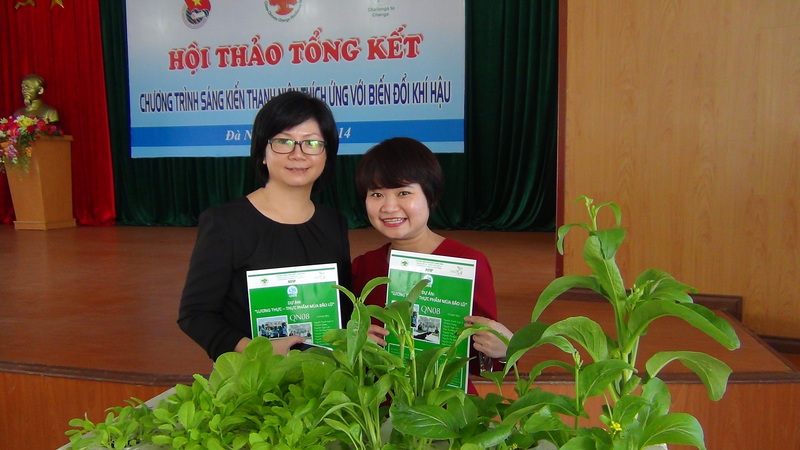 This short feature once published through social media such as Youtube and Facebook, has been received a number of positive feedback from local young people, potential donors who are working on climate change in Da Nang city, as well as other NGOs in CCWG through coordination role of CtC. Youth to warn potential risks of Red Tide in relation to climate change (video). Each Initiative is such a strong message about how local young generations prioritize issues associated with changing climate and what they can do to solve the problems they figure out. If lacking information on climate change or its inadequate access and application by different social groups is the case, young people would like to create websites, make films, teach younger kids, visit people’s houses and talk about issues they are facing in life. In Mekong Delta, the fact that the rising temperature impacts to health conditions of poor people living under metal sheet roof covering inspires young people to think about designing a multi-functional model which can both harvest and atomize rain water to cool the roof. Furthermore, youth’s ideas are different practical applications of what they study in universities or work in local departments. 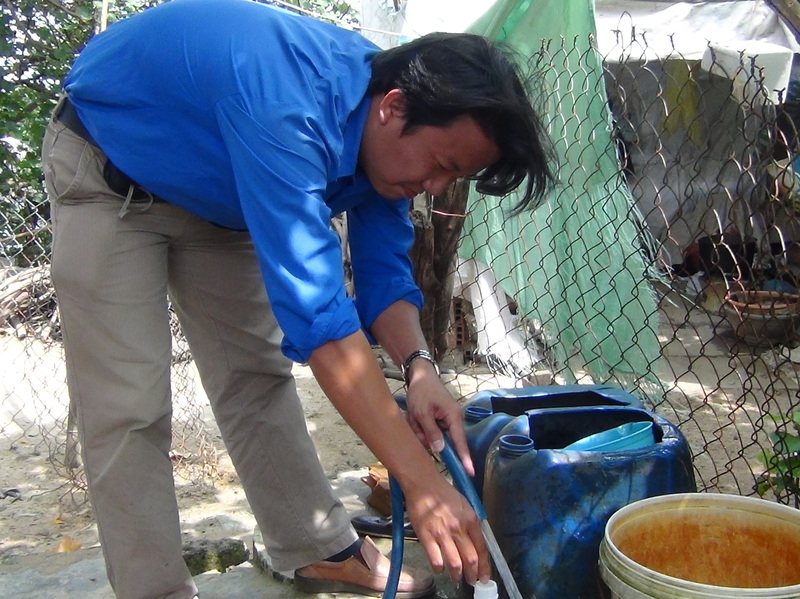 For example, Chemistry students and lecturers in Quy Nhon University helped local people treat saline water; ones studying and working in Agriculture and Environment department in Can Tho University found it possible to make use of agricultural wastes on underground compost models which can help local farmers save money for their production; young scientists in Biology section, Department of Science and Technology of Da Nang city helped farmers mix salt and other materials to grow clean vegetables without using soil. Youth are able to propose new idea which astonishes city partners such as claiming that raising temperature and changes in ocean currents will possibly make algae grow with uncontrollable speed and be directly harmful to people’s lives, tourism and aquaculture. Another idea considers ethnic minority like Khmer people living in urban areas of Can Tho city as the most vulnerable group, therefore youth leaders approach Khmer students who are studying in City University to identify vulnerability and needs of their community back home in terms of adaptation. One another distinctive characteristic of AYIP is that it is the first time ACCCRN partners have had a platform to work with city youth as an active grassroots group, playing the role of mentors who support on requests by youth groups in implementing their projects, and at the same time, of strategic partners in middle and long term action plan to response to climate change at local level. Through AYIP, current practices of climate change scientists, urban planning experts and decision makers benefit from fresh and appropriate perspectives posted by young people. By saying they are fresh, it means youth have abilities to understand and to convey academic and politic language of climate change into simple one which accessible for normal people. Regarding appropriate views mentioned, they actually look forward to the future when current young generations and amateurs are becoming responsible ones who make decisions for their lives and the development of surrounding. Youth Initiatives therefore can be good channels through which development projects and programmes at city level can be better at meeting needs of the most vulnerable groups. Visit here to listen to opinions of experts from CCCOs, CtC, ISET and other related city departments, universities, NGOs about their experiences in working with youth groups within AYIP. AYIP is also considered as a successful case study at both local and international levels: presented at the 6th and 8th International Conference on Community-based Adaptation in 2012 and 2014; studied in research paper of UN-HABITAT and Advocacy Tool which is under the Southern Voice programme on Climate Change. Find more about the interview with Vietnam National Television Station here. This entry was posted in Climate Change, English / Tiếng Anh, Urban resilience and tagged adaptation, community-based management model, urban resilience, youth-led initiatives. Bookmark the permalink.